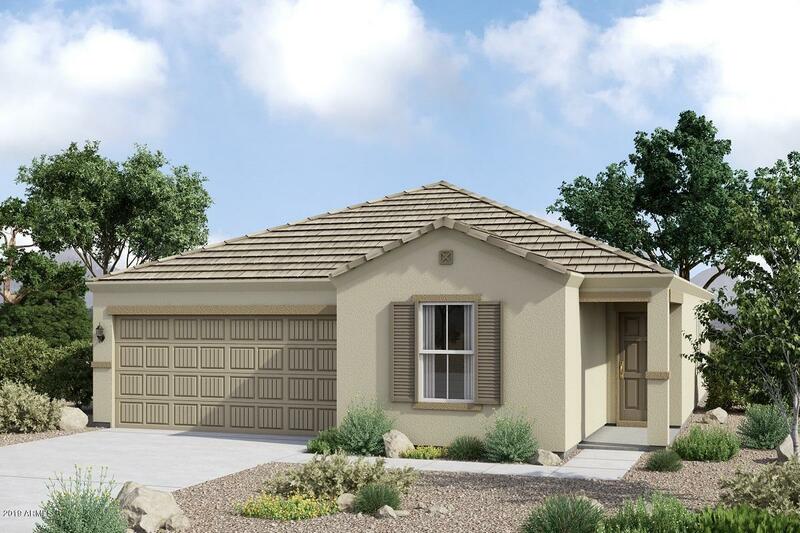 This popular single-story home offers an open concept floor plan with 9-ft. ceilings and a generous great room. The kitchen features 42-in. Timberlake(r) upper cabinets in Nutmeg, Wilsonart(r) laminate countertops, recessed can lighting and Whirlpool(r) stainless steel appliances, including a stove/range, microwave and dishwasher. The adjacent nook overlooks a spacious front yard. The luxurious master bedroom will impress with a large walk-in closet. This ENERGY STAR(r) certified home also includes tile flooring in the main living areas, Shaw(r) carpeting in the bedrooms, a Carrier(r) Cor(r) 14 SEER A/C, SmartKey(r) entry door hardware, and the KB Home 10-Year Limited Warranty (see KB Home Limited Warranty for full details.). Outside, enjoy a private covered patio in the cozy backyard.